Ryan and I bring out the best in each other, especially when it comes to binge eating. In Seoul you can usually find us at On The Border for lunch, and/or at Taco Bell around 3AM for a Volcano Burrito. For some reason I don’t feel as guilty about eating fatty food when I know someone else is too. I rarely ate this way in the States, but being “on vacation” every day makes it okay. 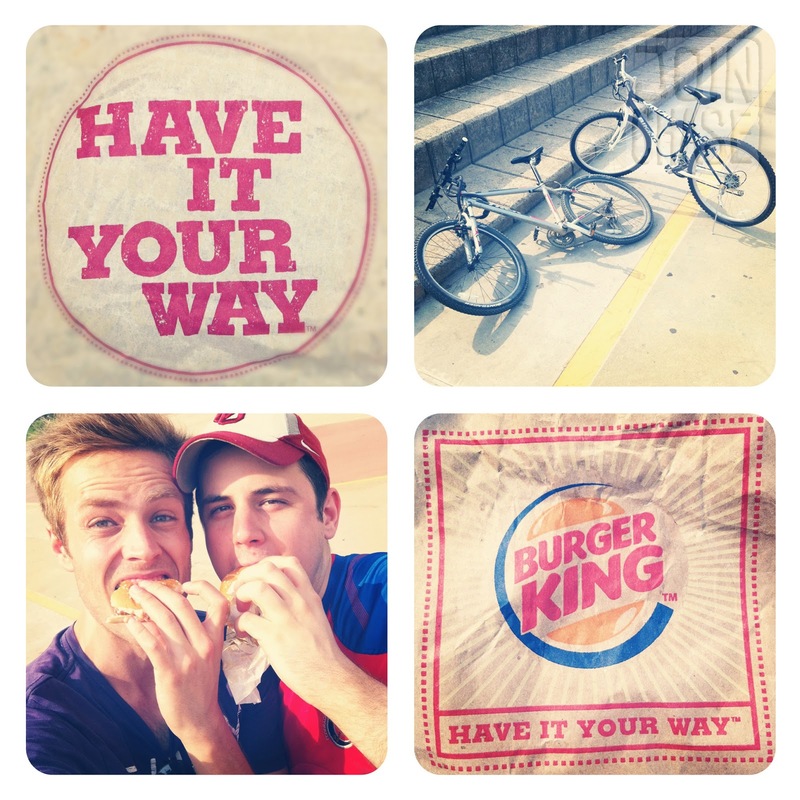 All this has led to the creation of “Bike’n Burger King”. We bike about 70 km to the nearest Burger King and back to burn off the calories we consume. I call it genius. Some might think otherwise. Regardless, I can’t wait for our next ride (and Whopper)!